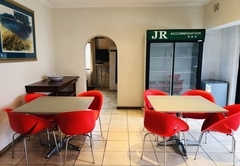 JR Accommodation is a 3 star graded property offering Parow accommodation for tourists and visitors of Cape Town. 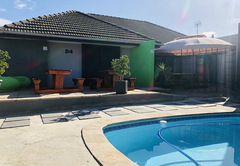 JR Self catering Accommodation offers you heart-warming accommodation where you can feel at home, while making your stay in Cape Town one to remember. 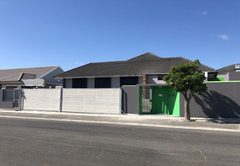 The fully equipped apartments are centrally situated next to the N1 highway in a security complex in Parow North. The apartment comfortably sleeps a family of four (two adults and two children) or two single people. The main bedroom is furnished with a double bed and the lounge with two single beds. The kitchen is open plan. The bathroom has a shower only (no bath) but selected apartments have a shower over the bath). The apartment comfortably sleeps a family of six (two adults and four children) or five single persons. The main bedroom is furnished with a double bed and the second bedroom has two single beds and the lounge has another two single beds. 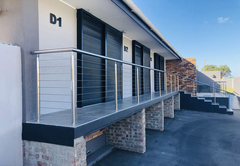 (On request apartments can be fitted with 6 single beds). The kitchen is open plan. 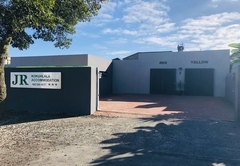 Apartments are available with bath and separate shower or shower only. 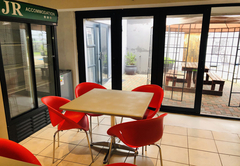 A Continental breakfast is available on request at prior arrangement and an A La Carte breakfast is available at the coffee shop on our premises. The living area is spacious, modern and comfortable with a remote control DSTV. Well equipped with a microwave, fridge-freezer, stove, cutlery and crockery for six to make your stay with us as comfortable as possible. 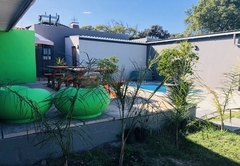 Braai facilities are available and some units offer a swimming pool. 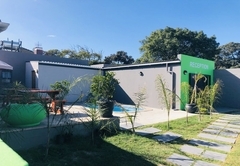 One bedroom apartment with a double bed in the room and two single beds in the lounge. One bathroom with shower only. 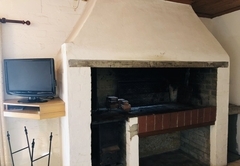 The kitchen is fully equipped and the lounge has a flat screen TV and DStv (only the guesthouse package). 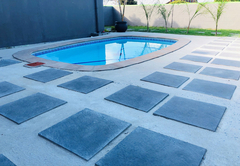 The Olympia Complex has a swimming pool, braai areas and is gated with an electric fencing. Two bedroom apartment sleeping 6. The first room has a double bed, the second room has two single beds and the lounge has two single beds. The bathroom has a shower only and the kitchen is fully equipped. 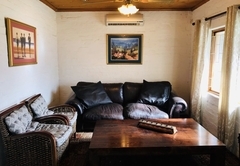 In the lounge there is a flat screen TV and DSTV (only guesthouse package). 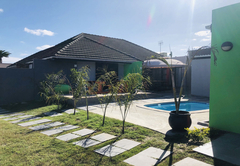 The Olympia Complex has a swimming pool, braai areas and is gated with an electric fencing.